Come one, come all, to Wrescal Lane. as kids like you and me! with missing teeth and dirty shirt. he's not afraid of getting hurt! and sees the roller coaster! he's good at any task. Kane's a real big, scary kid. Why does he wear that mask? to smell what he is cookin'! she's cute and easy to like. and that doll's head on his bike? selling some of Dad's old things. gave Shane a bruise that stings! about playing nice and sharing. to become a bit more caring! 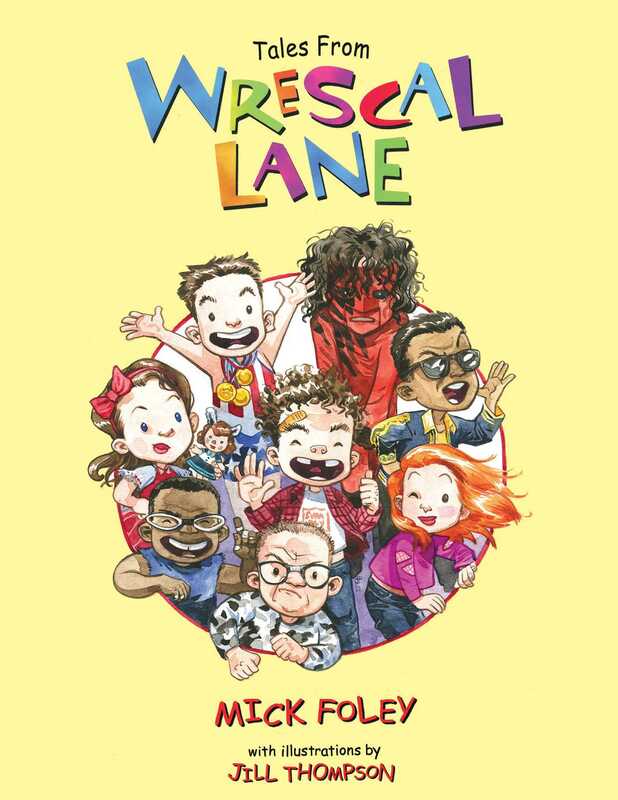 these Tales from Wrescal Lane! Mick Foley grew up on Long Island, New York. He is the author of the number one New York Times bestsellers: Foley Is Good: And the Real World Is Faker Than Wrestling and Have a Nice Day! : A Tale of Blood and Sweatsocks. He is also the author of two other children's books, Halloween Hijinx and Christmas Chaos. Foley wrestled professionally for over fifteen years and was the three-time World Wrestling Entertainment Champion. Foley lives with his wife and four children on Long Island.